The 21st birthday is a milestone that every single person should celebrate! 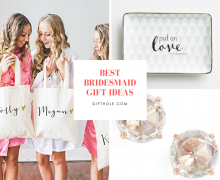 There’s a lot of pressure when it comes to getting a fun and unique gift for her on such a big day and if you’re struggling, let us help you out! Here are 21 awesome 21st birthday gift ideas for her! She’s an adult and she’s probably been drinking coffee for years so poke some fun at her being “old” with this funny mug! She’s officially the drinking age so you know you’ll have to get her some drinking accessories! What better way than her own personalized flask and shot glasses? You can personalize this Pink Flask and Shot Glass Gift Set here. She likes the beach? She likes fashion? Why not combine the two and get her this amazing beach scarf? And no, it doesn’t only have to be wore only at the beach! 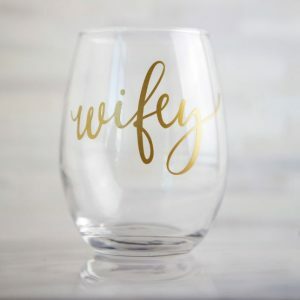 Whether you call your girlfriend or your girl… friend “wifey”, treat them to this personalized stemless wine glass because more than likely, they’ll be needing a glass of wine as some point! 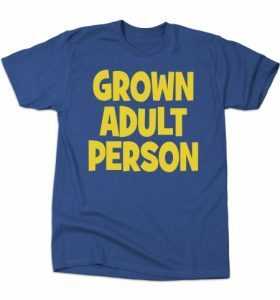 I mean, they are officially a grown adult that can buy their own alcohol so it makes sense that you have to get them this shirt! Continuing on reminding them that they’re officially an adult is a funny coffee mug that I’m sure they’re use regularly as an official “adult now”. Honestly, I pretty much want this and wished I thought of it! This is a perfect item for the officially legal wine drinker in case she ever wants to pour more than just that one small glass! 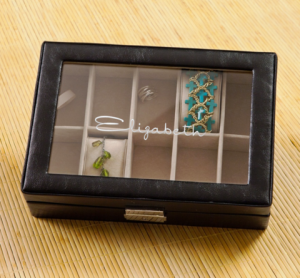 She has jewelry, she’s probably going to get more so what better gift than to get her a personalized jewelry box with her name on it! Speaking of some jewelry to add to her Jewelry Box, this nice rhinestone pendant necklace would look nice around her neck on any occasion! She probably has a bunch of dresses but this specific one would also match with the Rhinestone Pendant Necklace and she could wear this on special occasions. 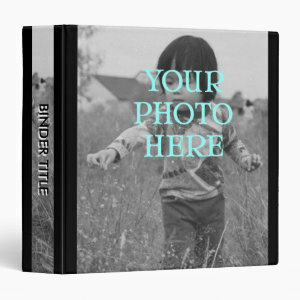 Since this is a milestone birthday, a great way to remind them how they got to the big 2-1 is to put together a personalized photo album of their big moments leading up to this day. They’ve been awesome since the day they were born! And yes, she has to wear it if you get it for her! This book is actually pretty good in general but it makes it even better for young adults. Let’s be real here, she’s probably taken a shot or two prior to turning 21 but let’s make it official for her with her very own “1st Legal Shot”. She’s going to go shopping. She’s probably going to get a tote bag. 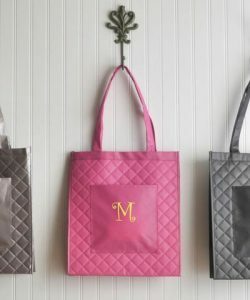 But what she won’t have is a personalized village shopping tote bag with her name on it unless you get it for her! 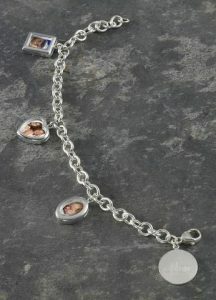 A charm bracelet is a great gift for any birthday but a personalized photo charm bracelet is an even better one for a milestone birthday! Women love clothes and fashion so something as simple as this gradient shirt would look amazing on her. No matter what birthday, who doesn’t want to enjoy a nice spa treatment at home? Bubble baths, shower gel, etc. Makes me want to just relax with a nice bath right now! Did I mention that women love jewelry? These earrings are not only fashionable but they’re also inexpensive. Show her love on her 21st birthday by getting her this “love” shirt. There’s no argument here that you have to get them some sort of alcoholic beverage to help them celebrate officially being legal to drink. Yes, wine! Check out all these different wine selections here! Ultimately, you probably know her best so try to cater to what she likes. 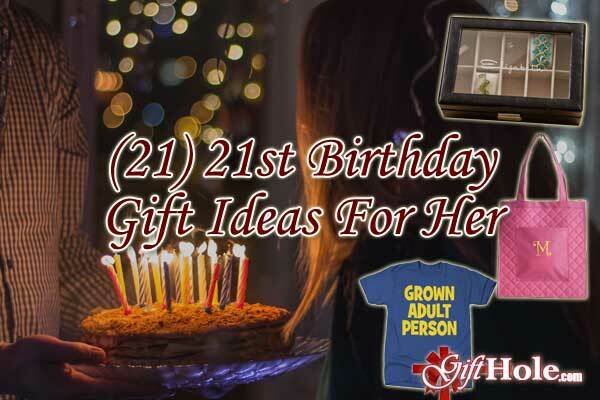 I mean, the 21st birthday only comes around once so you want to get the perfect gift for her! Let us know what your 21st birthday gift ides are below! 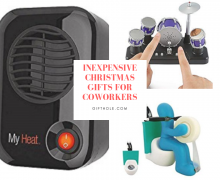 Nice gift guide! I really love the gift selection in here. What’s my favorite gift? As much as I’d like to say wine, I think I’ll have to go with the 1st legal shot glass. Why? Because it’s something you can keep for display, commemorating your first (legal) shot forever.